Gaynor (gingergirlmakes) is a mixed media artist who creatively uses a wide mix of materials to create something personal and beautiful. This new weekly Wednesday club will give Gaynor a chance to guide you through creating a journal for your memories. Bring along Tickets, photos, whatever you like using. Old papers, stamps, sketches and text to embellish. We will let ‘Gingergirl’ herself explain the journals..
“We are taking a previously loved book and altering it by using photos, various papers, printed text, postage stamps, tickets and any other emphemera. The theme can be memories, ( I’ve done mine on childhood memories and stories my mother told me) or it could be a travel journal, a baby book, a scrapbook of things worth keeping. 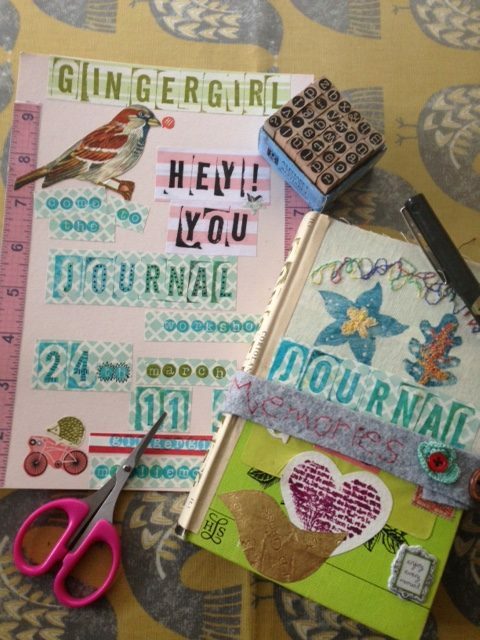 The journals can be glued and stitched into. No previous experience of making will be required as everyone’s journal will be completely different. It’s important that everybody brings a stash of their own personal stuff otherwise it won’t work! Also, it will be a work in progress. I add to mine all the time! If anyone wanted to bring a proper bound new sketchbook instead of using one of my old books, that’s fine. 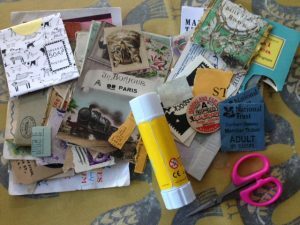 I’ve been making and collaging for about ten years now. I mainly create things for presents, pictures and collages and I make cards to sell. 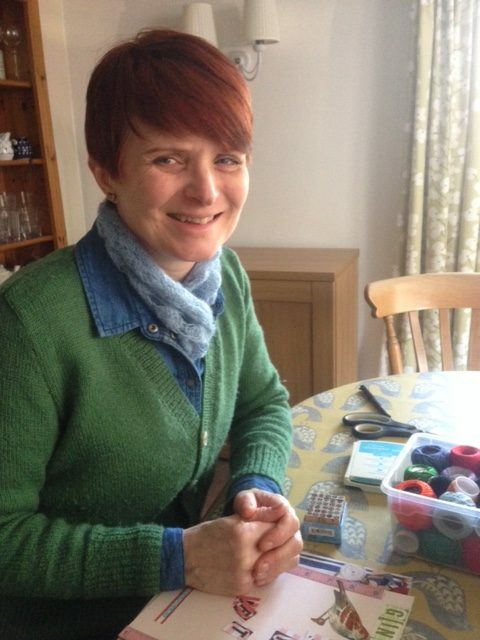 I have only recently started to make again after a couple of years of ill health, it has been a life saver at times and I would highly recommend it!